Mr. Mittenthal has been involved in every aspect of the business since its inception, including development, leasing and sales, finance, and overall management. 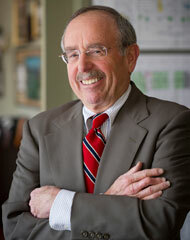 Mr. Mittenthal earned an LLB Degree from the University of Baltimore Law School and is a member of the Maryland Bar. He is a member of the International Council of Shopping Centers and has served on the boards of several community organizations including the Ruxton Riderwood Lake Roland Area Improvement Association.